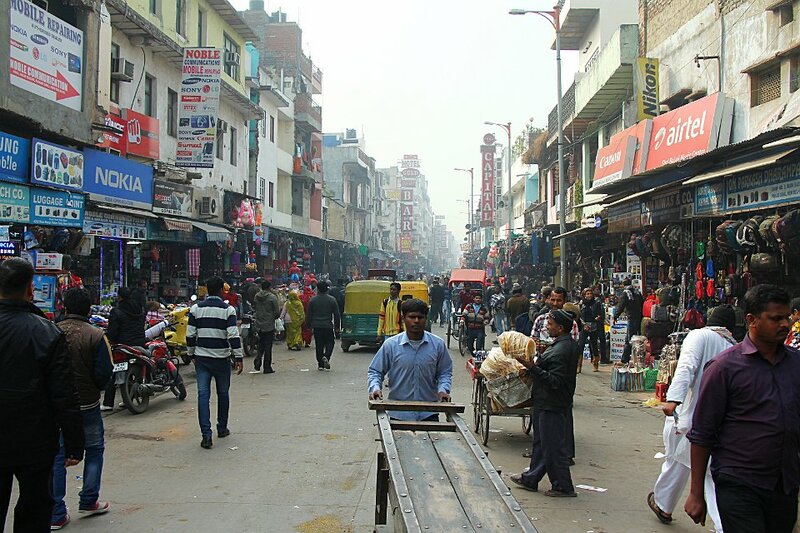 We spent one night in Delhi, then wandered aroung the city a bit before catching an afternoon train (2 hours late, Ya hai India, darling!) to Gwalior. 1 We drove around town some and looked at the gummint (Indian pronunciation of "government") buildings in the smog. 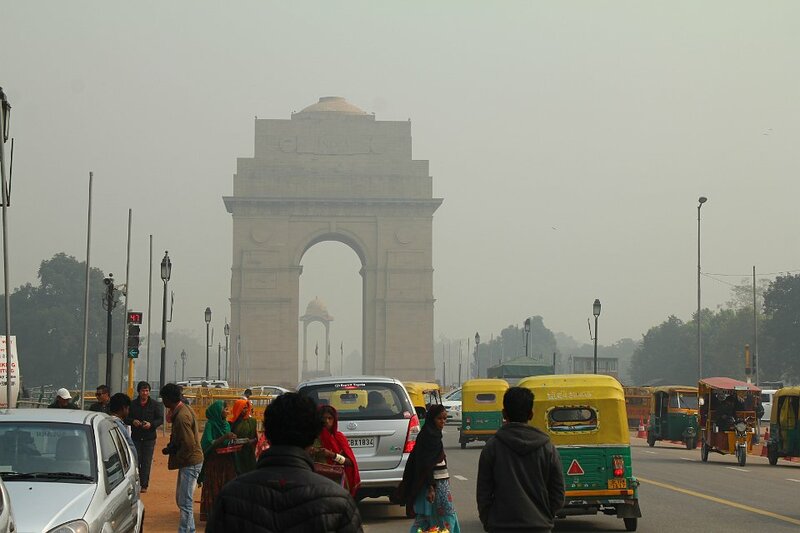 2 India Gate and many tuk-tuks in the smog. 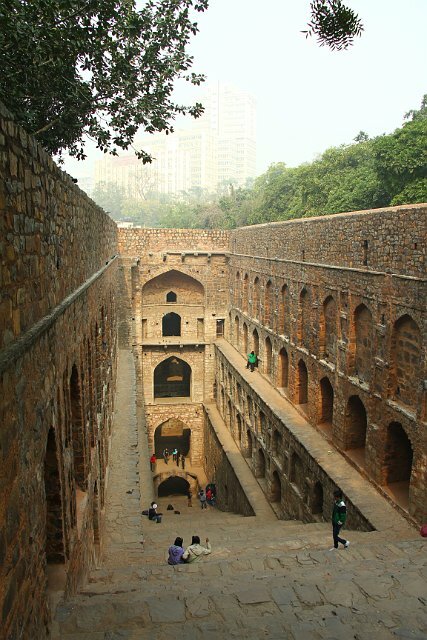 3 The Ugrasen Ki Baoli is a stepwell from the 14th century. 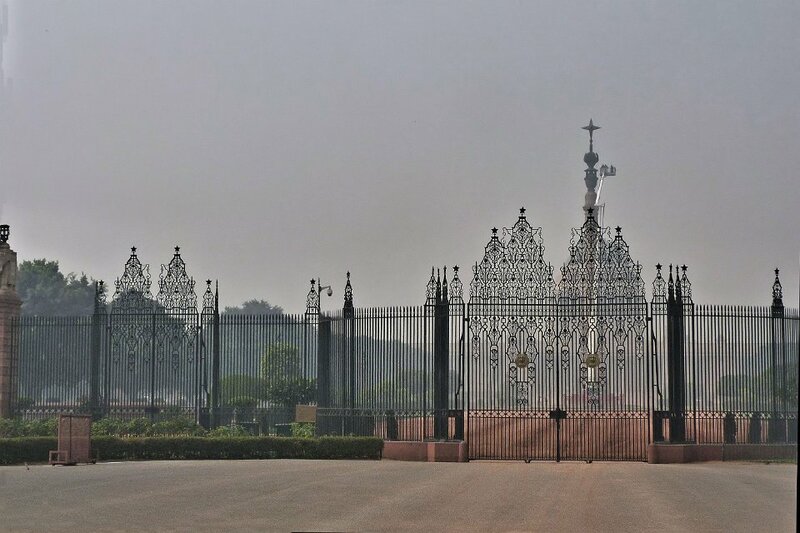 It is right near Connaught Place, but we had never suspected its existence until our driver took us there to kill time while waiting for someone. 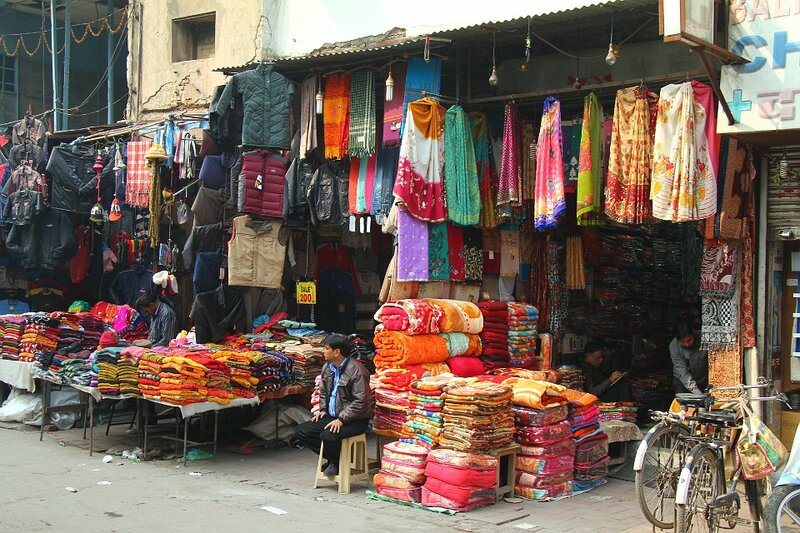 4 Shopping street in front of the train station. We strolled there while waiting for the train, which was late -- as expected.